You can also view the video on NBC's web site here. *If you'd like any screencaps of their appearance, Patrick made an album of 110 of them here. They're great! Thanks so much, Patrick! Today's the big day! Libera is at the NBC studios in Burbank waiting to tape "The Tonight Show With Jay Leno" which will air across the US tonight! Jay Leno tweeted, "TONIGHT: @TheSlyStallone, @JuddApatow and music from @OfficialLibera, a boy's choir from London! #TonightShow"
Libera posted a video on Instagram for us from The Tonight Show dressing room! "Pre-Show thoughts in the Tonight Show With Jay Leno dressing room!" Eoghan - Hi. I'm Eoghan. Cassius - And I'm Cassius. Eoghan - And we're about to perform on "The Tonight Show with Jay Leno." Cassius - And we're really excited. Alex Gula - I feeled amazed that I'm on the show. And Kavana posted a photo on Instagram! 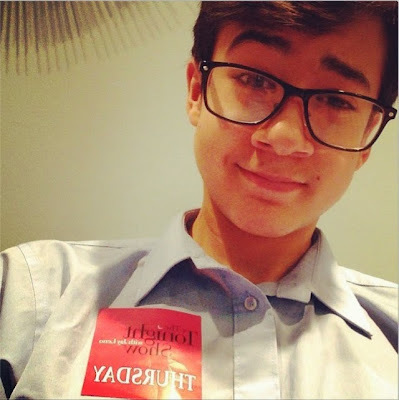 "Just a little bit excited...Tonight Show With Jay Leno #libera"
We're all excited for you! Have fun, Libera! Everyone will be watching tonight at 11:35pm Eastern/10:35pm Central! Just saw the boys of Libera on "The Tonight Show with Jay Leno" on NBC-TV in US tonight. It was a wonderful strong performance of "Carol of the Bells". So proud of all the boys performing, especially given the long trip and the huge time difference. There looked to be about 21 boys who made the trip. I could not tell if Michael made trip. I thought it was unfortunate the boys could not do the choreography as they did in the Armagh concert. I am thinking this was primarily due to needing to reduce camera angles and dependence upon stand alone microphones. The show has a huge budget, so they could have sprung for more tech. support to make this happen. I was disappointed Jay did not cut one of the earlier interviews short so the boys could have sung another Christmas song. When combined with Libera's Ireland Concert exposure this month on PBS in US, I am sure the boys performance tonight will have gained them thousands of new American & Candadian fans and sell a lot of CD's. It will also likely increase demand for scheduling more North American performances soon. 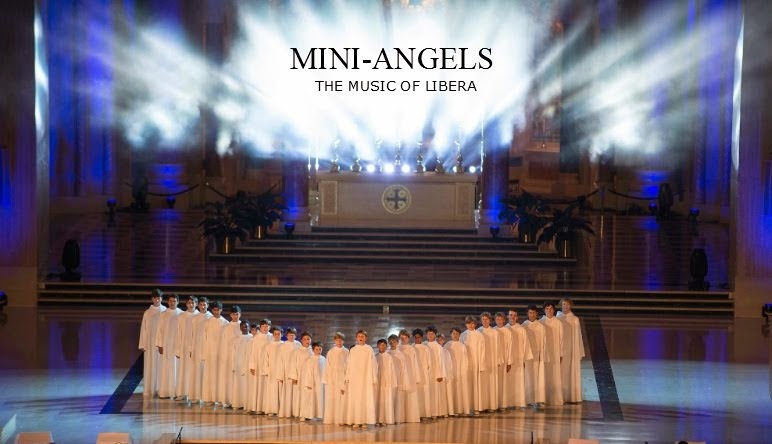 Somewhat selfishly I do really hope to see a Libera concert scheduled in US on their Spring and/or Summer tour in the Boston & New England area. In mean time, I will be looking forward to seeing their next scheduled US television appearance on NBC's "TODAY" on Christmas Day during the 9:00-10:00 AM hour. I will be also looking to see if they manage to squeeze in any other appearances before they leave for home. Perhaps Ellen DeGeneres Show? 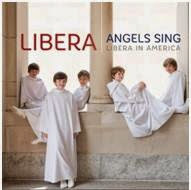 Pictures from "The Tonight Show With Jay Leno"
Libera CD Now #1 on US Billboard Charts! Watch Libera on US TV! Libera On Their Way to USA! Libera To Appear On The Today Show in the US!!! !